Mark posts with this category that you want to have appear in the news area. Five corporations, each individually owning one 7-Eleven franchise, joined the IMAGE program. FYN Management, Inc.; HYN, Inc.; YN 1, Inc.; 5th Avenue Wali, Inc.; and ZHSG, Inc. were represented by Yousaf Naseer, the President of all five corporations. Combined, these companies employ approximately 60 individuals. Four of the locations are located on Long Island and one is located in Manhattan. Besides owning five franchises, Naseer is also the President of the United Franchise Owners of Long Island & New York, which represents all of the 7-Eleven franchise owners on Long Island, in the Five Boroughs of New York City, and in Westchester and Putnam Counties. 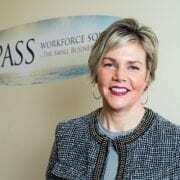 Compass Workforce Solutions (Compass) is a human resources company that was started in 2009 by Christine Ippolito, who is the firm’s principal. Headquartered in Hauppauge, New York, Compass provides Human resource services to smaller companies that are headquartered in New York and Northern New Jersey, as well as servicing those companies’ employees, no matter where in the United States they work. Compass employs eight employees that are human resource professionals. Finally, Strategic Security Corp. (SSC) is a nationwide security firm that is headquartered in Commack, New York. SSC has approximately 600 employees and counts the US Government (FEMA & the SEC) and some Fortune 500 companies amongst its clients. The company was founded in 2002 and is a woman owned small business which can provide services to the following industries: Retail Industry, Fast Food Industry, Banking Industry, Educational Institutions, Commercial Real Estate, Financial Institutions, Government Services, Manufacturing & Industrial, Residential Communities, Shopping Malls & Centers, Hospitality Industry, Transportation, Utilities, Sporting & Event Industry. Many of their employees are prior law enforcement or military. SSC provides security services and risk reduction through guarding services, executive protection and intelligence services. To qualify for IMAGE certification, partners agree to conduct a self-assessment of their hiring practices to uncover vulnerabilities that could be exploited by unauthorized workers; enroll in E-verify, an employment eligibility verification program; train staff on IMAGE Best Employment Practices and the use of new screening tools; and undergo a Form I-9 audit by ICE. Undocumented workers create vulnerabilities in today’s marketplace by presenting false documents to gain employment, completing applications for fraudulent benefits, and stealing identities of legal United States workers. To combat this, ICE initiated the IMAGE program in 2006. All IMAGE members must participate in the Department of Homeland Security (DHS) E-Verify employment eligibility verification program. Through this program, employers can verify that newly hired employees are eligible to work in the United States. This Internet-based system is available throughout the nation and is free to employers. It provides an automated link to the Social Security Administration database and DHS immigration records. 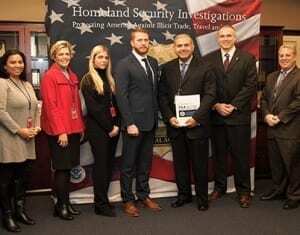 Upon enrollment in and commitment to the IMAGE Best Employment Practices, program participants are deemed “IMAGE certified,” a distinction DHS and ICE believe will become an industry standard. IMAGE also provides free training to all employers on the provisions surrounding the Form I-9, fraudulent document detection, and building a solid immigration compliance model. Companies interested in more information on the IMAGE program can visit www.ICE.gov/image. Every employer in New York State is required to provide employees with sexual harassment prevention training that meets or exceeds the following minimum standards. Every employee must receive training on an annual basis, starting October 9, 2018. The first round of annual training for all current employees must be completed by January 1, 2019. Employees hired on or after January 1, 2019 must receive this training within 30 days of hire. Compass Workforce Solutions provides Sexual Harassment Training at their Hauppauge office, call 631-794-7401 for more information. 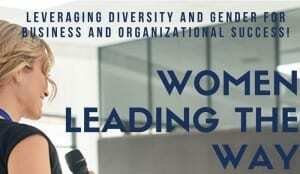 The 21st Annual Conference of the Women’s Presidents Organization was in Los, Angeles, CA May 2 – 4 2018. This is a gathering of over 1,000 women presidents from women owned businesses in the US, Canada, UK, Peru, Mexico, Turkey, Australia, Malaysia, Sweden, South Africa and New Zealand. The theme of this year’s conference was “Disruption and the Future of Business”. 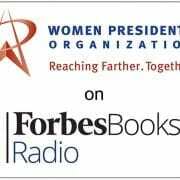 Forbes Books Radio interviewed Compass Workforce Solutions Founder Christine Ippolito to learn how Compass works with their clients and the business problems they solve. For certain specialized industries, finding qualified job candidates can be extremely difficult — and the best talent may be at a competing firm. While poaching talent often comes with a negative connotation, there are ways employers can make the process a bit less uncomfortable for all parties involved. Technology has played a big part in opening up the process, but employers must still tread carefully when trying to lure candidates away from their existing employers. You don’t want to unnecessarily burn bridges, she said. “With the rapid pace of change in business and technology, a current competitor could be a future business partner or client,” she says. Other avenues to consider include offering referral bonuses to current employees who bring in talent, and posting jobs directly on professional websites where some of these specialized candidates may be, Ippolito says. Poaching is a short-term solution, because in high-demand jobs, there may be only one person for two or three available positions, says Renée Nielsen, president of Islandia-based Nielsen Associates, a staffing and recruitment firm. Instead, many companies are looking to grow their own talent by creating internship programs for college students they hope to hire upon graduation, she says. But if all else fails and poaching is unavoidable, then you should go about it stealthily. 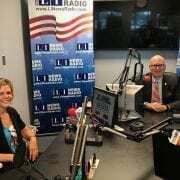 Compass and CPA Michael Kessler on the Radio! 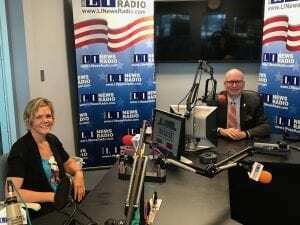 Founder Christine Ippolito, SHRM-SCP, SPHR and partnering CPA Michael Kessler came together to give a great radio show on Business Profits in the Real World. Listen here! http://compasswfs.com/wp-content/uploads/2017/09/Christine-Ippolito.jpg 900 1200 compassadmin /wp-content/uploads/2016/12/compass-logo.jpg compassadmin2017-09-01 12:58:422017-09-01 12:58:42Compass and CPA Michael Kessler on the Radio! Compass in Newsday! We’re in the news again! Long Island companies were far from immune to the political discourse that divided families and cooled friendships during the presidential campaign. But in the aftermath of the election, disagreements in the workplace over President Donald Trump’s statements and policies, most recently regarding immigration, have not only persisted but, in some cases, have intensified, with conference rooms, employee cafeterias and office cubicles sometimes turning into politically fraught battlegrounds. Political discussions are deteriorating into heated exchanges, workers are leveling snide remarks at those with different opinions, and, on occasion, like-minded workers are reveling in their common political leanings and excluding those who don’t share them, according to experts specializing in workforce issues. “People are acting out their feelings, and that could potentially lead to violence,” said Sima Ali, a Huntington attorney who specializes in workplace law. Long Island companies are addressing the politically charged atmosphere with a wide range of strategies, including using humor to diffuse arguments, specifying unacceptable behavior in revised employee handbooks and disciplining workers when their debates turn threatening or violate anti-harassment, anti-bullying or anti-discrimination policies. Ferro, who has more than 120 employees, tries to lighten political debates between workers not only by jokingly remarking, “Let’s talk about the Giants or the dysfunction of the Knicks,” but by stepping into the fray to “take the middle ground.” Recently when a conversation about the president’s deportation plans grew “intense,” Ferro said he enumerated the issue’s pros and cons, a strategy that lets workers see that they agree more than they disagree. 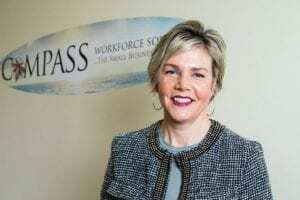 Christine Ippolito, the founder and principal of Deer Park-based Compass Workforce Solutions, said her firm was recently tapped to help a company where political differences had descended into near-violence. That laissez-faire stance ended after the presidential election when two otherwise friendly workers — one an American-born citizen, the other a naturalized citizen — were reading the newspaper together and the American-born worker told his immigrant colleague that he and his countrymen would be sent back to their homeland, according to Ippolito. The naturalized citizen maintained that as a U.S. citizen, he would not be deported, but when the American-born worker countered that “the law had changed” and that he and his compatriots would be returning to their native land, the naturalized citizen responded with the threat of physical violence, Ippolito said. Overseeing the investigation into the episode, she determined that the naturalized citizen had crossed the line with his violent threat while the American-born worker said that he didn’t know his comments were inappropriate, since no one had ever told him what he couldn’t say in the workplace. As a result, Ippolito advised her client to establish policies and procedures regarding unlawful workplace harassment, discrimination and bullying. All the political talk isn’t only fueling tempers. Productivity is also suffering, according to a post-election online survey of 500 fulltime workers, which was conducted by Wakefield Research for BetterWorks, a Redwood City, California, maker of performance management software. Since the election, more than a quarter of the respondents said they are less productive, and nearly three-quarters discuss politics during the day with colleagues. While 22 percent spend two hours a day talking or reading about politics, more than a quarter of the millennial respondents said they spend more than four hours a day on such activities. Among all participants, 30 percent said their coworkers spend more time talking about politics than discussing their work, and nearly half have witnessed a political conversation turn into an argument. Noting that political disputes are a common workplace issue, John Porta, principal in the Melville office of Jackson Lewis, a national law firm representing management in the area of workplace law, said that “private employers can choose to curtail freedom of speech, including political discourse” by “taking the position that certain comments violate the employer’s anti-harassment policies.” He cautioned, however, that such a curb shouldn’t restrict employees from discussing the terms and conditions of their employment, which are activities protected by the National Labor Relations Act. Other companies are implementing new policies before political differences get out of hand. Jon Cooper, the president of the Westbury-based, 180-employee Spectronics Corp. and a former Democratic Suffolk County legislator, said his firm’s family-like environment has helped in fostering a respectful atmosphere, yet its revised employee handbook will include new prohibitions against wearing political clothing or displaying political materials, such as buttons and banners. “It makes sense going forward to head off possible issues down the road,” said Cooper. /wp-content/uploads/2016/12/compass-logo.jpg 0 0 compassadmin /wp-content/uploads/2016/12/compass-logo.jpg compassadmin2017-04-06 18:41:342017-04-25 11:21:05Compass in Newsday! We're in the news again!